Matt loves watching bad movies in his basement. Josh is not a fan of watching bad movies. 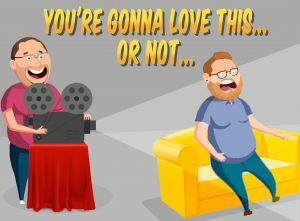 Matt brings Josh into his basement (the Subterranean Fun Pit, or “SFP”), and shows him bad movies, trying to get him to admit to liking one of them. And thus, the You’re Gonna Love This… Or Not… (YGLToN, pronounced “Eagleton”) Podcast was born. 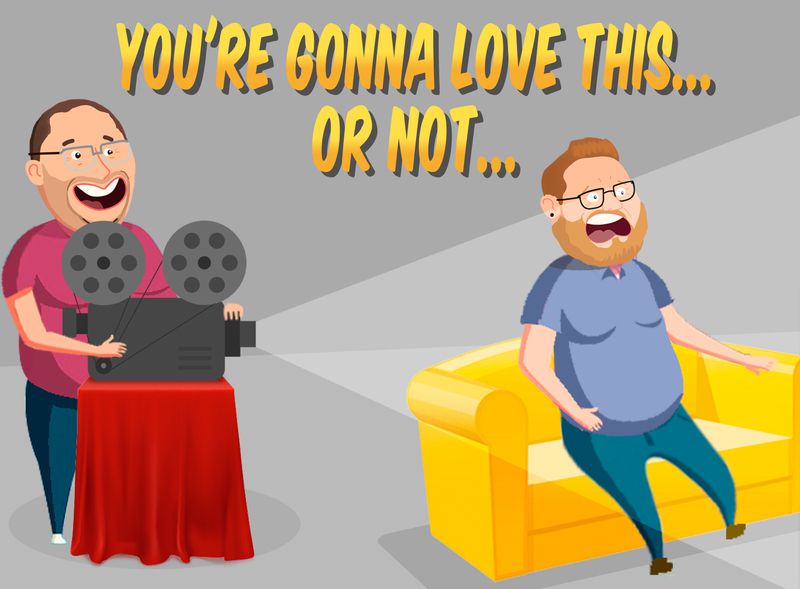 Part of the new Team Geeking Family of Podcasts, YGLToN will be a monthly podcast, featuring Matt and Josh talking about some pretty bad movies. Trust me, I have to sit there while they watch them! Produced by Mike Wickliff, edited by Tony Troxell, and part of the Team Geeking Family of Podcasts, this podcast will contain harsh language, and many times will review R rated films, so it is not recommended for children. Music for the promo, and each episode, courtesy of Scott Holmes, an artist on the Free Music Archive. Tracks are taken from his album “Happy Music”, which can be found here, and used under the Attribution/Non-Commercial Creative Commons License! NOTE: You’re Gonna Love This… or Not has an explicit tag for harsh language, plus many of the films they’re reviewing are rated “R”. This podcast is not suitable for family listening, is NSFW, and should not be placed in reach of children. Stitcher Radio Please, rate and review! Apple Podcasts Please, rate and review! Episode 1: Cannibal! The Musical (1/18) – Matt and Josh sit down for the first ever recording of YGLToN. What will Josh think of this rollicking musical about a craving for human flesh? Episode 2: Jaws The Revenge (2/15) – Matt and Josh sit down for the final film of the Jaws quadrilogy! This time, it’s personal. Episode 3: No Holds Barred (3/15) – Matt and Josh take a look at the wrestling “classic”! Episode 4: COMING APRIL 19TH! Episode 5: COMING MAY 17TH! Episode 6: COMING JUNE 21ST! Episode 7: COMING JULY 19TH! Episode 8: COMING AUGUST 16TH! Episode 9: COMING SEPTEMBER 20TH! Episode 10: COMING OCTOBER 18TH! Episode 11: COMING NOVEMBER 15TH! Episode 12: COMING DECEMBER 20th!